Super Group is eyeing a number of acquisitions in South Africa, according to CEO Peter Mountford. Following the release of the company’s results for the year, Mountford said he was surprised at the acquisition opportunities that have become available in South Africa. “This is an indication of a market that is unsettled,” he said. Mountford also commented that after a quiet financial year on the acquisition front the company is “definitely” considering acquisitions in the new financial year. The potential acquisitions could provide a much-needed boost to the company’s South African businesses. Its consumer-facing operations in South Africa took strain in the most recent financial year. It attributed this to “consumer difficulties” included an increase in VAT, fuel price increases and high unemployment levels. Super Group’s past acquisitions, which have seen the company spread outside South Africa, shielded its exposure to local difficulties in the past financial year as the mining commodity industry in the rest of Africa experienced increased volume growth. This countered difficulties experienced in South Africa, Europe and the UK during the year. Businesses from outside South Africa accounted for 47% of Super Group’s revenue in the most recent financial year, while their share of operating profit was 60%. The company is already pulling together funds for a potential acquisition. 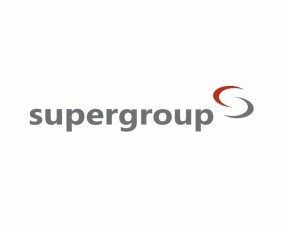 Super Group did not declare a dividend at the year end. In October 2017, Super Group raised ZAR*500m through an accelerated bookbuild placement of 12.4m shares at ZAR40.25 per share in order to fund the acquisition of a higher stake in SG Fleet Group. Mountford said the company prefers organic growth to acquisitions because it is simpler to implement. “With organic growth you can build a business that you already know. You know your business better than somebody else’s,” he said. Mountford also commented that the company has mixed views on the economic conditions and prospects for its businesses for the coming financial year. “Locally, despite new political leadership, policy uncertainty remains extremely negative and there is still no indication of economic stimulus or encouragement of investments. South African consumers are under even more pressure and therefore we expect the low growth rates to persist,” he said.